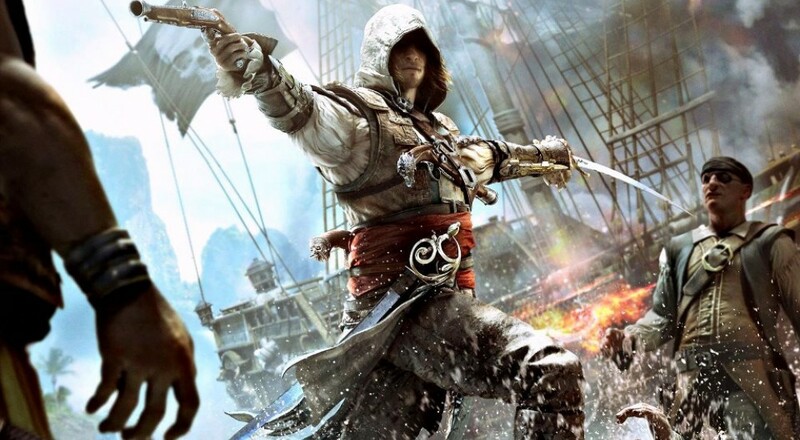 Yesterday, the highly anticipated Assassin's Creed IV: Black Flag was released. Gamers everywhere simultaneously unleashed their inner pirate, buckled their swashes, and practiced twirling cutlasses as a result. While you might expect pirates to act in a purely selfish manner, being, you know, pirates and all, even a land lubber knows that teaming up with a few other scurvy dogs can increase your chances of landing plunder and booty without losing a leg. Thus, co-op multiplayer has remained in AC IV. Similar to that introduced in AC III, the co-op mode allows up to four pirates to team up to meet objectives. Defending chests and synchronized kills are among many other types of goals to be reached. A lengthy video detailing the co-op multiplayer has been released, and is embedded below. Feast your eyes on more than ten minutes of in-game co-op footage. It looks like there's plenty of murder and plunder to be had!